Popular and effective book on how to collect more, faster and still keep your customers. Chapters include writing effective letters and email, master the collection call, overcoming excuses, develop a ‘special voice’ for the telephone, handle the irate customer, negotiate effectively….and more! How to collect more, faster…and still keep your customers! 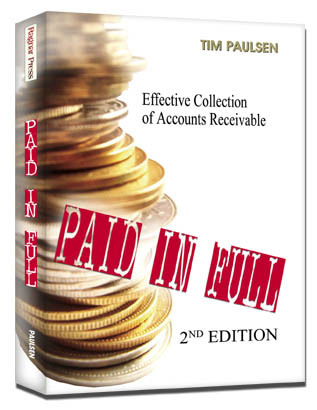 …Mary Ludwig, Editor, Managing Credit, Receivables, International Association of Management Accounting.